WHITE 1%　⇒　6% ! SILVER 2% ⇒　7% ! GOLD 3% ⇒ 8% ! PLATINUM 5% ⇒ 10% ! 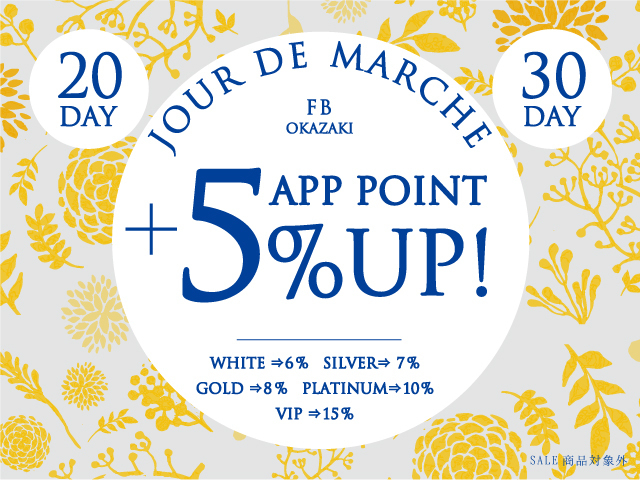 VIP 10% ⇒ 15% ! Copyright © FRENCH Bleu OKAZAKI All Rights Reserved.